Gardening is a beautiful hobby. Everyone loves to spend some time in gardening looking after those plants and tress. Often we need to get our hands dirty while gardening. Here is a pair of gloves from Haode Fashion. The glove has claws to digging and planting. The glove has a nice color combination and provides two sets, one with claws and other without it. 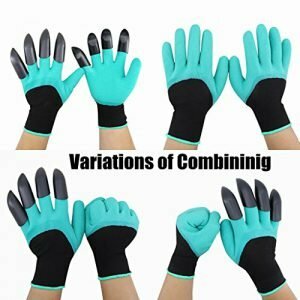 You can prevent all sort of cuts and blisters by using these pair of gardening gloves. It is washable and can be even used during regular works. This garden gloves with claws suit best as a gifting idea too. Costing well under $10, this useful tool could be a bang for your buck. Editor’s QuoteMust Have pair of gloves for garden lovers. Wolverine!!! 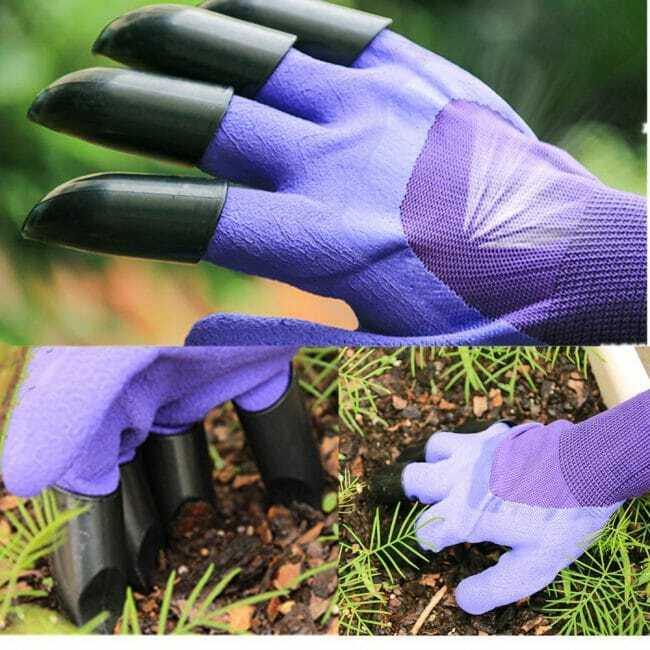 These garden gloves with claws are a one-stop solution to your gardening tasks! It’s the one-step solution to handle a variety of gardening tasks. Making digging, planting, raking in garden fast and easy. Making yard work fun again and hassle-free with other garden tools. Either Right-handed or Left-handed people can use these pack of gloves. 4 set of combination ways to meet your multifunction need. Garden gloves with claws make digging easy, gloves no claw is flexible and suitable for grabbing. Breathable and stretchy natural latex coat protects your hands from dirt, sweat and injuries. Durable, waterproof, puncture resistant to protect your hands. Premium quality with sturdy claws no thorns. Every pair must pass our artificial quality inspection, to make sure you get the perfect gloves. Extremely lightweight and stretchable- one size fits most people. 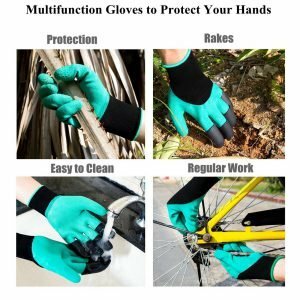 You can wear these nitrile garden gloves for hours with ease. Quantity: 1 pair with 8 claws on each hand. 1 pair latex gloves no claw. Material: Latex + Polyester + ABS Plastic. Package: 2 pair in a gift box.